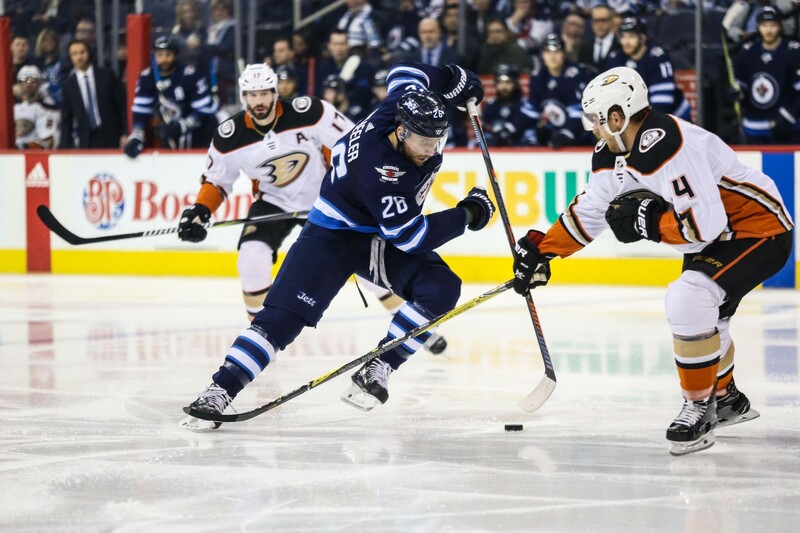 WINNIPEG, MANITOBA - Kyle Connor scored with 1:44 to go in overtime to help the Winnipeg Jets break the franchise record for points in a season with a 3-2 victory over the visiting Anaheim Ducks on Friday night. 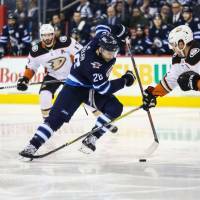 Winnipeg (45-19-10, 100 points) surpassed the previous mark of 99 points set in 2014-15. The Jets won their fifth straight home game. Mark Scheifele had a goal and two assists, including one on the game-winner when he fed Connor on a two-on-one. In Pittsburgh, Taylor Hall beat Matt Murray on a breakaway 27 seconds into overtime to give New Jersey an overtime victory over the Penguins. Hall was all alone when Nico Hischier found him with a long lead pass. Hall slipped the puck between Murray’s legs for his 33rd goal of the season as New Jersey picked up two vital points in the race for one of the two wild-card spots in the Eastern Conference. Hall added two assists, Hischier had a goal and an assist, and Blake Coleman and Will Butcher also scored, and Keith Kincaid made 40 saves. The Devils finished 4-2 on a six-game trip. Sidney Crosby scored his 25th of the season for Pittsburgh. Brian Dumolin and Phil Kessel scored in the third period as the Penguins erased a two-goal deficit. In Dallas, David Pastrnak broke a tie with 12 seconds left and Boston scored three straight goals in the third period to rally past the hosts. In St. Louis, Patrik Berglund scored twice and the surging Blues beat Vancouver for their fourth consecutive victory. In Buffalo, Antti Niemi stopped 35 shots for his first shutout in 27 months, and Montreal blanked Buffalo to snap a seven-game road skid.